I freely admit that I typically only use fresh potatoes when cooking. I’ve never been a huge fan of instant mashed potatoes because an aftertaste I find unappealing. 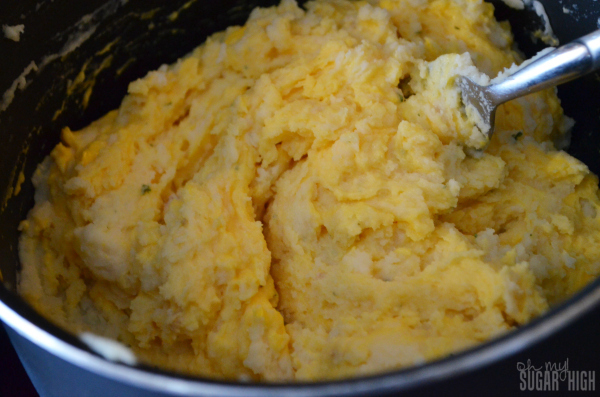 I also love texture in my potatoes so I’ve pretty much avoided all boxed mashed potatoes. But I was recently challenged by General Mills to come up with a great recipe using one of their boxed potatoes. And after seeing their new “ultimate” mashed potatoes in store I thought it was time I gave them a try. 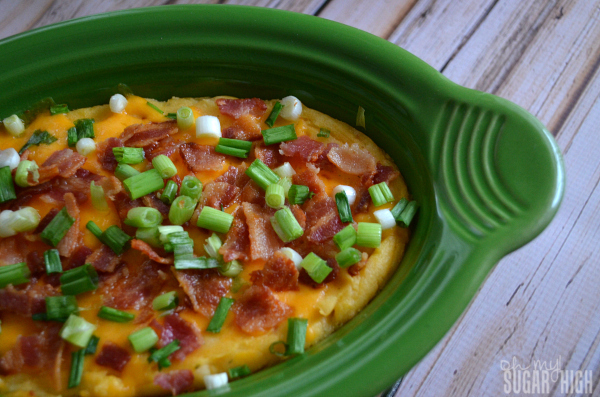 I absolutely love a loaded baked potato so to bring these potatoes up a notch, I decided to bake my mashed potatoes and top them with my favorite toppings! I started with Betty Crocker Ultimate Loaded Mashed Potatoes which was done in a matter of minutes. I’ve never had potatoes on my stove so fast! This box includes enough for 8 servings but is divided in half so you can easily make four servings as I did or double your recipe for a larger crowd. 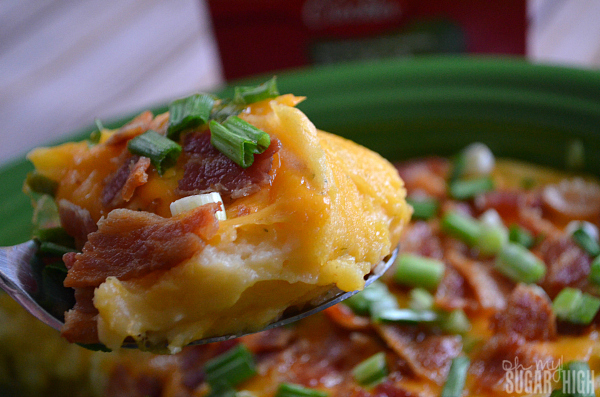 I have to tell you that recipe really changed the way I view boxed mashed potatoes. Prepare mashed potatoes using instructions on the box, substituting half-and-half for the milk. 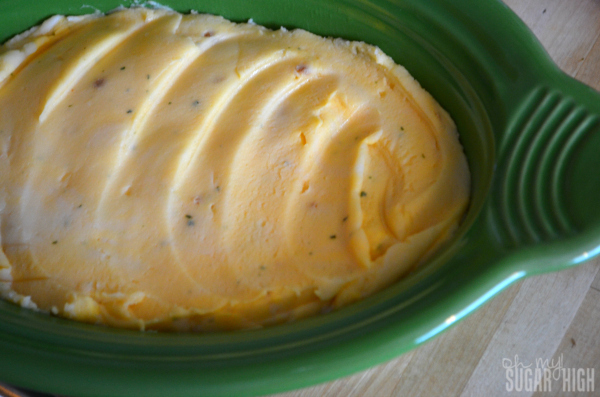 Spread prepared mashed potatoes in small casserole dish. Bake uncovered for 20 minutes. 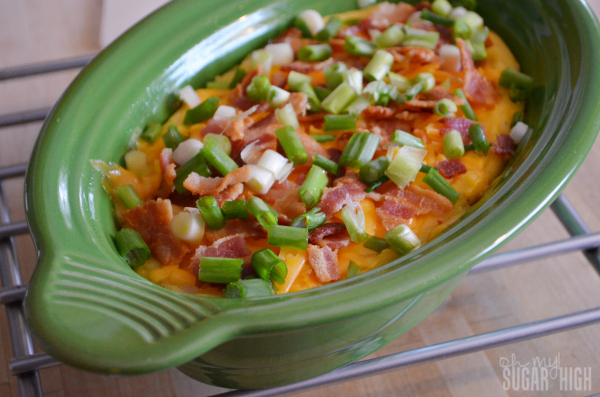 Top with shredded cheese, green onion and crumbled bacon. Bake uncovered for an additional 4-5 minutes or until cheese is fully melted. These potatoes were so creamy and delicious! My husband and I could not get enough and I can’t wait to make them again. Feel free to play around with toppings to fit your family. 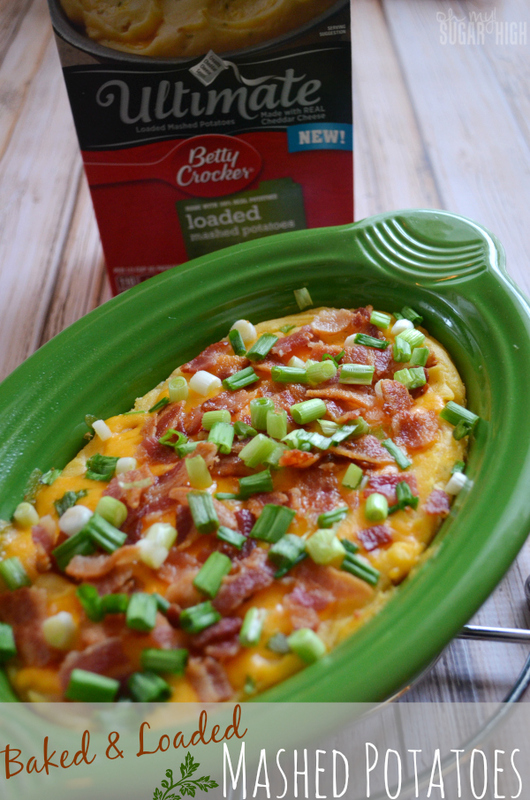 Be sure to visit Betty Crocker Potatoes for more simple but delicious meal solutions! Do you have a favorite potato side dish that everyone raves about? Disclosure: This post is part of a sponsored campaign. All thoughts are my own.